The morning came and the route started again. The maid knocked on the door - Itachi woke up - He took a bath - He dried himself - Put on a robe - Sasuke called him a female again - He called Sasuke a duck - and he went downstairs to the other kings. The table was quiet again as all 5 of them ate what they ordered. Itachi ate faster than before but the others didn&apos;t notice. They only noticed when Itachi set his fork and knife down on an empty plate. Itachi ignored the others glares and looked over at Naruto who too has just finished. &apos;&apos; Naruto, can i talk to you in private?&apos;&apos; Itachi asked. Naruto looked up at Itachi, his blue eyes shining. 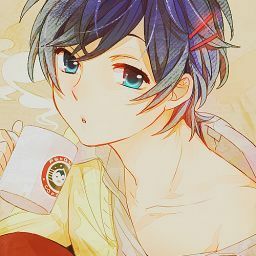 &apos;&apos; Sure &apos;&apos; He said and for a moment his cheeks turned red. They both exited the doors which glares that followed us and started walking along the halls to the indoor garden. &apos;&apos; So ... how did you like the gardens yesterday ?&apos;&apos; Itachi asked Naruto, not wanting a long awkward silence between them. Naruto blushed but hid it behind his bangs of blonde hair. &apos;&apos; I-It was great, very beautiful &apos;&apos; Naruto stuttered making him blush more out of embarrassment . But Itachi was no fool and saw his blushing face which for some reason it made himself flush. &apos;&apos; Do you want to see it again? &apos;&apos; Itachi asked. &apos;&apos; Um sure, why not ? &apos;&apos; Naruto answered sweetly. Itachi himself hasn&apos;t been to the garden since he became King which was in fact, ages ago. After turning a few corners they stopped at two huge glass doors which were 11ft tall compared to Itachi who was about 6ft and Naruto who was 5&apos;&apos;4ft. So the doors were huge. Two guards were standing by and when Itachi nodded they opened the door. The garden was full of amazing plants, going from as small as a leaf to giant in door trees. This is the biggest and most colourful place in the palace. Itachi and Naruto entered in and the doors shut behind them leaving them alone in the huge room. Unsure of what to say, they just walked further into the room where they started to see little waterfalls and some birds flew around their heads. &apos;&apos; Um nice birds &apos;&apos; Naruto smiled as one flew on his hand. Itachi couldn&apos;t help but also smile. &apos;&apos; Yes, they are sure nice &apos;&apos; Itachi said leaning towards Naruto to see the bird. Itachi&apos;s breath kept blowing in Naruto&apos;s ear and Naruto pulled back out of panic making the bird fly away. Sure it&apos;s their second day but there&apos;s no need to get that close. The pull took Itachi by surprise. &apos;&apos; S-Sorry &apos;&apos; Naruto apologized. Itachi just realized himself he was so close for comfort. &apos;&apos; It&apos;s fine &apos;&apos; He said back. This is getting really awkward too fast. &apos;&apos; So, what did you want to talk about &apos;&apos; Naruto asked. &apos;&apos; My brother wanted to meet with you tomorrow and i just wanted to see if you agreed to that &apos;&apos; Itachi said. Most of it was true though, his little brother wanted to meet one of the kings but he didn&apos;t say Naruto so you could say it was 75% true 25% lie. 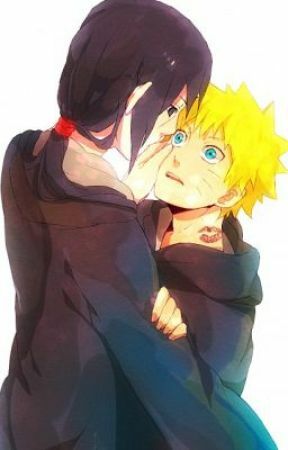 &apos;&apos; Um... &apos;&apos; Naruto grabbed his chin cutely and thought for a moment before turning over to Itachi &apos;&apos; I don&apos;t see why i can&apos;t so sure &apos;&apos; He smiled.